Is there an elevator or lift in the building? Yes, there is elevator access to all four floors. Is your hotel suitable for a romantic honeymoon break? All our rooms are both private and picturesque. Do your staff speak English? 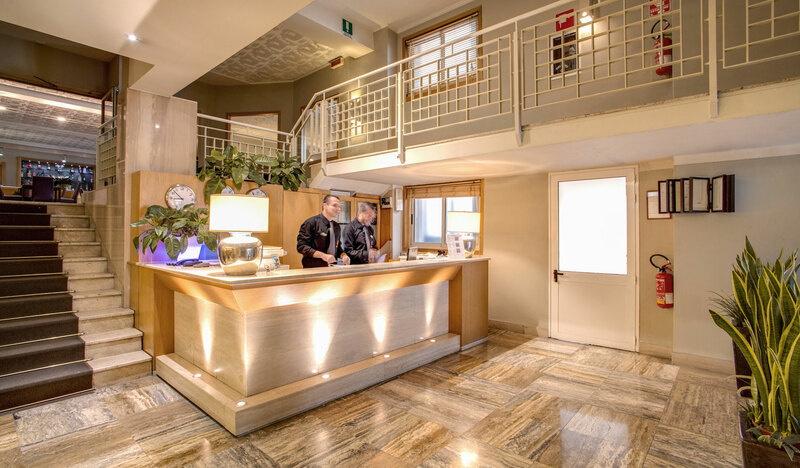 Our reception staff speak not only English, but also French, Italian and German. Do your rooms have balconies? Yes, the superior rooms on the fourth floor have balconies with panoramic view of Florence. What are the check in and check out times? Guests have to check out by midday so that the new guests can check in at two. Can we pay for our room up front? Yes you can settle the bill on arrival or departure. Are the prices per room including breakfast? Room prices are per day and for apartments per week, and all prices include breakfast. Are there some non smoking rooms? Yes, the hotel public spaces are also smoke free. Is English language television available in the hotels? Yes all rooms are equipped with satellite television. Are rooms air-conditioned? Yes, all rooms are air-conditioned. Is it possible to use my laptop and access the Internet? Yes, not only in the Wi-Fi areas, access points are available in all rooms. Do you have parking facilities? Yes we have an underground car park were spaces can be rented. Can we bring our pets? Yes, pets are welcome. Do you have an airport shuttle service? No but a regular shuttle service runs to the train station on our doorstep. Where is the nearest bus stop? Outside our hotel. Nearest Train station? Fifty meters from our hotel. Nearest airport? About five to six kilometres away, Florence FLR. Is it possible to rent a car near by? There is an Avis rent-a-car 200 meters from the hotel. Do you have a hotel gym? No. Do you have a restaurant? No. Join our mailing list to receive your Exclusive Discount Code. Via Luigi Alamanni, 15 - 50123 Florence - Italy.